UNITED NATIONS (Reuters) - North Korea warned countries at the United Nations on Monday in a statement: don’t join the United States in military action against the Asian state and you will be safe from retaliation. The caution was contained in a copy of North Korean Deputy U.N. Ambassador Kim In Ryong’s prepared remarks for a discussion on nuclear weapons by a U.N. General Assembly committee. However, Kim did not read that section out loud. “As long as one does not take part in the U.S. military actions against the DPRK (North Korea), we have no intention to use or threaten to use nuclear weapons against any other country,” according to Kim’s prepared remarks. “The entire U.S. mainland is within our firing range and if the U.S. dares to invade our sacred territory even an inch it will not escape our severe punishment in any part of the globe,” the statement read. 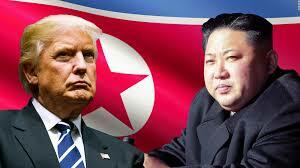 Tensions have soared between the United States and North Korea following a series of weapons tests by Pyongyang and a string of increasingly bellicose exchanges between U.S. President Donald Trump and North Korean leader Kim Jong Un.